I’m not quite sure how it has happened but it has been over six months since I last posted a book haul. That’s quite good going! I am however breaking this streak today by bringing you a little look at the latest books to grace my shelves. Most of these books were gifts or ARC’s since it is a very exciting time in publishing but I’ll clearly mark those with an *. The Harm Tree by Rose Edwards* - Sam kindly picked this up for me from the Northern YA Literary Festival and I am so grateful that she did. This is the latest from UClan Publishing and is a fantasy set amongst the remains of a vicious war. I am so excited to read this! 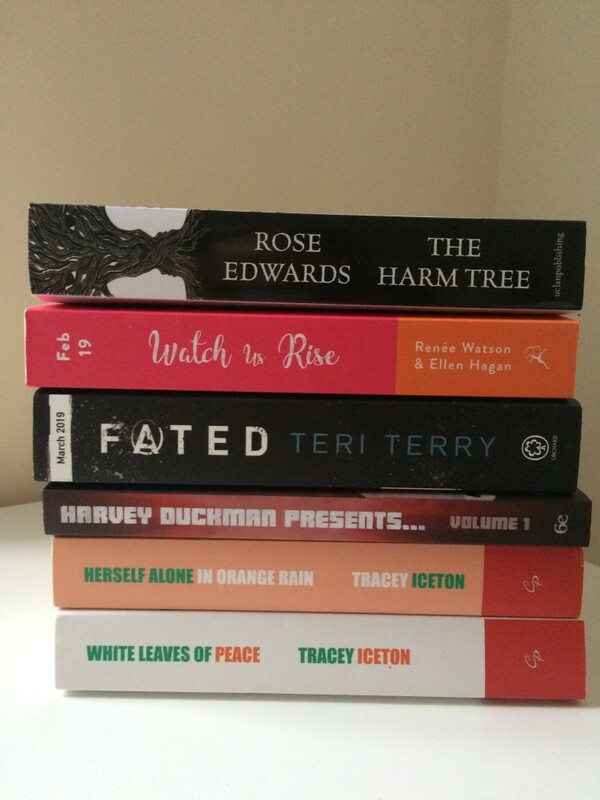 Watch Us Rise by Renee Watson and Ellen Hagan* – Another gift from the Northern YA Literary Festival, this is about some girls who start a Women’s Rights Club at their high school. Their new club is met by mixed responses and soon comes under threat. Fated by Teri Terry* – I have never read anything by Teri Terry but Sam picked this up for me and now I can’t wait to get started. As far as I am aware, this is a prequel to the incredibly popular YA Dystopian series that Terry has written and so it seems like a good place to start. Harvey Duckman Presents (anthology)* – This is an anthology of science fiction, fantasy and horror stories which was kindly gifted to me by the publisher. A good friend of mine is also in this so I am SO excited to see the mixture of talents amongst its pages. Herself Alone in Orange Rain by Tracey Iceton – This is the second book in Tracey Iceton’s trilogy and my current read. As you are probably aware, I loved the first book, which was called Green Dawn at St Enda’s. You can find my review for it here. This book is set a little later with some new characters but so far seems to be just as fantastic! White Leaves of Peace by Tracey Iceton* – And, finally, the last book in the same trilogy. This was kindly gifted to me by Tracey herself and I am so excited to get to it this month! 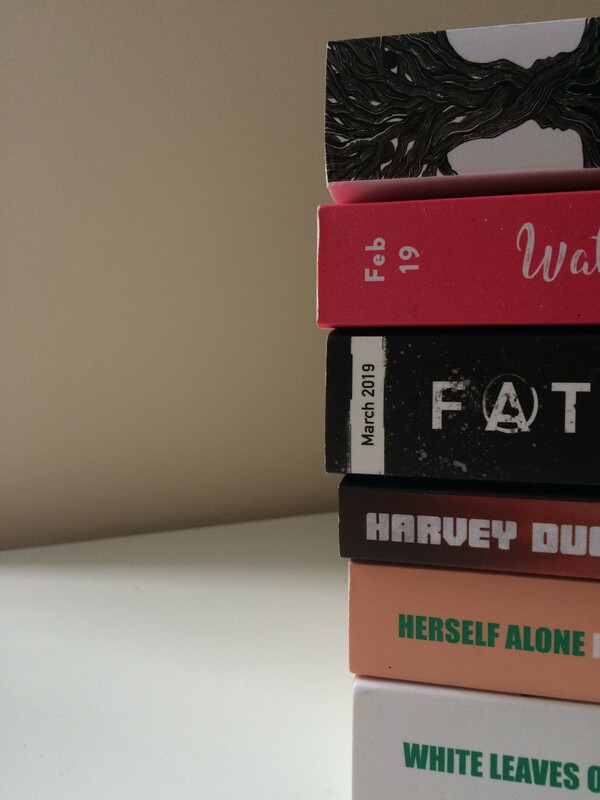 Since I am currently reading Herself Alone in Orange Rain, I haven’t looked too closely at what it is about but you can find out more about it here if you are curious. Not a bad little haul!